During my days as a teacher, I had the honour and privilege of asking my learners what they aspire to be in the future, and they all wanted to be something but an artist. This answer came as no surprise because although schools are a fertile ground where children’s talents are to be nurtured and encouraged to grow, some schools, like the one I spent my two years at when I was given an opportunity to give back to the community through teaching, have a lack of adequate resources and skilled teachers to harness and teach certain special subjects such the arts. As a result, over the years, the arts in South African public schools have taken a dive and although they are perceived as beautiful, they are not seen as essential. This is also evident in public school policies, which have accorded the arts limited time in the classroom, and only as part of the life skill subject that is only awarded less than two hours classroom time weekly. The South African law has a constitution which clearly states that, everyone has the right to freedom of expression, which includes freedom of artistic creativity. To add to that, the South African white paper on arts and culture asserts that, “rooted in freedom of expression and creative thought, the arts, culture and heritage have a vital role to play in development, nation building and sustaining our emerging democracy”. It is clear that both the country’s constitution and white paper believe expression of artistic creativity is a right and is vital because of its ability to contribute to the strength of both the economic and social standing of the country, and that means that our children, who are in disadvantaged schools are denied their right to freedom of artistic creativity and expression, and their possible contribution to the sustainment of the country’s being by virtue of going to schools that are subject to inadequate resources provision and training of teachers who are specialised in the arts, restrictive environment, as well as learning programmes that promote other subjects and restricts the arts in public schools. exposes our different cultures to each other, and they should not be learned through occasional exposure but through consistency. Schools are a haven for children from different backgrounds and cultures, and as such, the arts must be promoted and encouraged to help forge relationships between the learners, and they must form part of the school curriculum as much as math and science does. Enough research exists to overwhelmingly support the fact that participation and study of the arts is a vital component in improving learning throughout all academic activities, can develop better team players, ignite a love for learning, and also enhance learner creativity. An effective arts education helps learners stretch their minds beyond looking at a play, listening to music and even reading something written on a piece of paper. The need for schools to promote and have access to adequate resources to better deliver arts education should be stressed and acted upon. One of the most cited reasons for the side-lining of the arts is that it is commonly perceived, and that is as a result from those who are not well equipped with information about the benefits of the arts, that anyone who pursues the arts as a career is taking a risk of possibly being unemployed in the future. Teachers and the society in general, do not encourage the artistic mind-set and arts persuasion because they believe being an artist can have unpredictable consequences when it comes to employment in the long run. What they fail to realise is that being an artist goes hand in hand with being an entrepreneur. It is all about innovation and selling the product and then being able to put food on the table, while on the other hand possibly being able to employ others. In a country that has a high level of youth unemployment as South Africa, art entrepreneurship would come in handy to try and bridge the gap that leaves many sitting at home after obtaining qualifications that were encouraged in schools more than pursuing the arts. Works of art, regardless of kind, have become commodities and can be counted as consumer goods. Everyone has something to express, and whether you are a writer, a painter, a sculptor or a performer, what an artist does is take an idea and breathe life into it so it can become a reality. With proper training and attention of our creative skills from a young age in school, taking a vision and cultivating it reality through creation of art will be easy, and that merged with proper marketing will reach a wide range of customers and clients, and as a result, will also offer employment to not only the writer, but cast members as well, for an example. The non-prioritization of the arts in schools perpetuates the lack of creativity, lack of diverse cultural exposure, lack of understanding of others, and lack of arts entrepreneurship within the society, and contributes nothing to fighting unemployment in the country. It is for this reason that the government should invest in the arts as much as it does to the math and science, adequate resources to harness the arts should be put in place and teachers in arts education should be given proper training and support. May the arts reach a point where by they are accorded the equal status with other subjects across the educational curriculum, and may our teachers and the society as large not only look at the arts as a subject that contributes to our social development and understanding, but also as a subject that can contribute immensely to the economy of the country and have the ability to bridge the unemployment gap, as well as an instrument to making life more meaningful. The main purpose of education should be to lead learners to their optimal realisation of their full and unique potential. There is a need to offer more lessons about things that contribute most to social harmony and cohesion; integrity, creativity, truth, social development, perception alteration, dignity, contribution, team work, entrepreneurship, diversity, and cooperation. 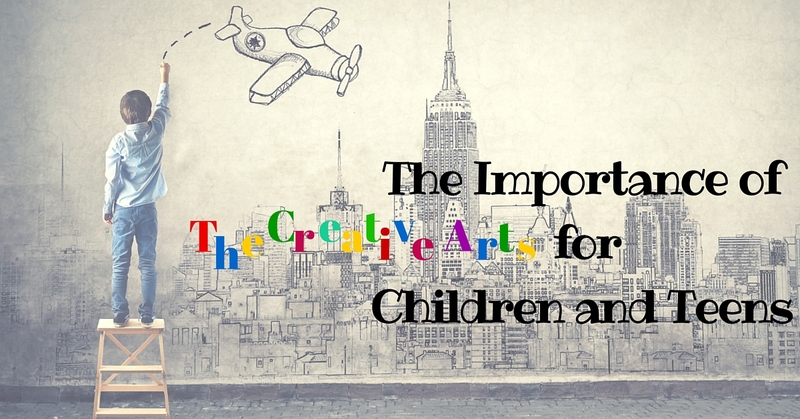 And these all can be instilled in our children and us as the society, through art education. We shouldn’t be striving towards being a society of housing and taps.